The walk along The Strand and Fleet Street from Trafalgar Square up Ludgate Hill to St. Paul’s Cathedral goes through my favorite part of London. 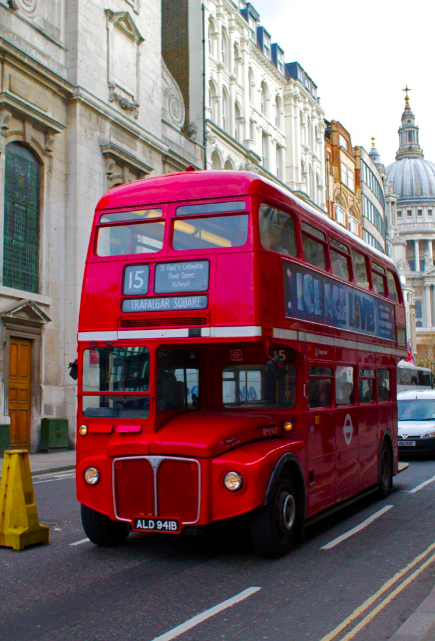 It follows a historic route used in the Middle Ages to connect the City of London with Westminster. Along the way, it’s a thrill to peek into Temple Inns of Court (all lawyers must live here during their internship), admire the wedding cake steeple at St. Bride’s Church, and peek into the historic taverns that still line the road. To really appreciate this part of London, it’s also rewarding to wander the narrow lanes and alleys. On this last visit, we used Rick Steves’ guided walk through this area (link to map and audioguide). On previous trips, I’d seen this part of London, but reading about the historic roots of the neighborhood and venturing off the main drag really made this walk a memorable experience and ultimately a trip highlight. The Tower of London is on nearly everyone’s itinerary on a short trip to London, and it should stay on itineraries for return trips. There is a lot to see at the Tower, and even after three visits, I still haven’t seen it all. This last visit was probably the most rewarding, because of the planning we did ahead of time to avoid crowds. We benefited from visiting London in the off-season (late November), but even then, we went out of our way to arrive at the Tower exactly at opening time on its first early day of the week (9am on Tuesday). We literally had the crown jewels to ourselves and circled the conveyor belts at least five times. It was also refreshing to find that our Yeoman’s tour was completely different than the one I went on during my last visit. Not only did we visit different sites, but the Yeoman had completely different stories to share and his own unique personality. For those who are returning to London after a long hiatus (my hiatus was 9 years, 2003-2012), the food scene in London has changed—and for the better (although my opinion may be influenced by the fact that I am now of drinking age). Many pubs now strive to serve innovative and quality cuisine along with great English beer. Meanwhile, I’ve also became more adventurous. 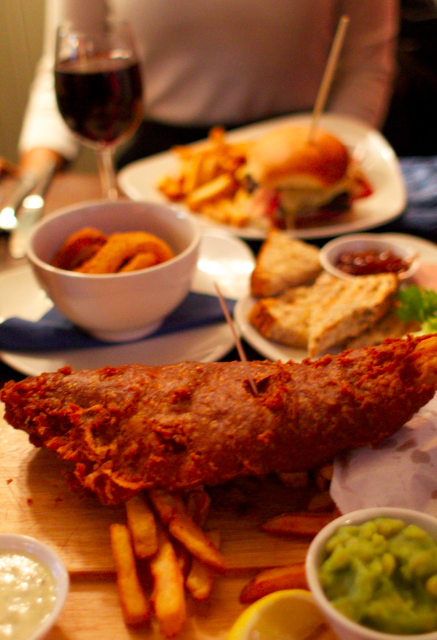 In addition to fish & chips (a standard go-to for Americans at London pubs), I sampled roasts, meat pies, and burgers. One pub we visited even offered a quality pâté for an appetizer. After returning from previous trips, I always had to qualify my adoration for London with a disclaimer that the cuisine is lacking. Now, I will actually look forward to eating in London, and am actually already missing pub grub! On previous trips to London, I’ve always confined my sightseeing within Zone 1 of the London Underground. However, to see the real modern-day London, visitors need to travel further east, to the London Docklands. The best time to visit during the work week, when the 5 square blocks surrounding the Canary Wharf Underground Station are a hubbub of activity. We had a fun time wandering through the underground shopping mall and watching London’s workforce (which is much better dressed than America’s, save DC and New York) rushing from work to lunch. The futuristic self-driven Docklands Light Rail (DLR) connects the Canary Wharf area with Greenwich to the south and the new olympic facilities to the north. Visiting the Docklands is probably not a priority for first time visitors with limited time in London, but for a return visit, it is interesting to see this new part of the city. My past two trips to London occurred during summer, with plenty of large crowds and hot weather. 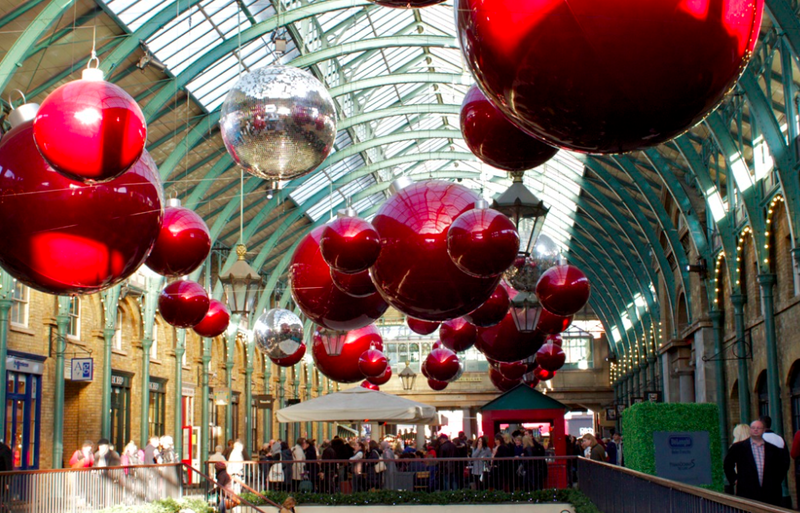 This trip, we visited in Late November, at the beginning of the holiday season in London. In planning our trip, we were excited to see that decorations would be up and several Christmas markets running. Our expectations on London’s holiday cheer were more than surpassed. The decorations at Covent Garden (above) and beautiful Christmas lights on Regent Street were spectacular. A favorite was the Southbank Christmas Market, a Bavarian-style Christmas market with fun handicrafts, German food, and hot chocolate! More details can be found in Kristin’s post on Christmas in London. We were lucky with the weather (cold, but little precipitation), but I found myself enjoying winter in London much more than the summer. We are already planning on returning to London at the same time on our next trip! For those who have only experienced London in the summer, I certainly recommend trying a visit during the holidays. I first visited the Churchill War Rooms on my second trip to London. As a World War II buff, getting a glimpse of the UK headquarters during the war is fascinating and I didn’t mind sharing the experience again with my wife on our recent trip. I was excited to find that since my second visit, there is also now a Churchill Museum co-located with the War Rooms (since 2005). The museum provides a very comprehensive overview of the life of Winston Churchill. We found the material so fascinating that we spent over an hour exploring the audiovisual experiences. If it weren’t for our tired feet, we could have stayed much longer! If your last visit to the War Rooms occurred prior to 2005, or if you just ran out of time exploring the museum, it’s certainly worth a visit on a return trip to London. Government and politics have always been an interest of mine, and unfortunately my trips to London and my only trip to Washington D.C. occurred during legislative recesses. I was thrilled when I realized it was a possibility to see the UK Parliament in action on this last trip. Given that it was off-season and a weekday, the lines to gain admission were very reasonable, although it isn’t hard to imagine that they could quickly become unmanageable with larger crowds. After clearing security and getting a close-up view of Big Ben, we saw historic Westminster Hall (picture above). 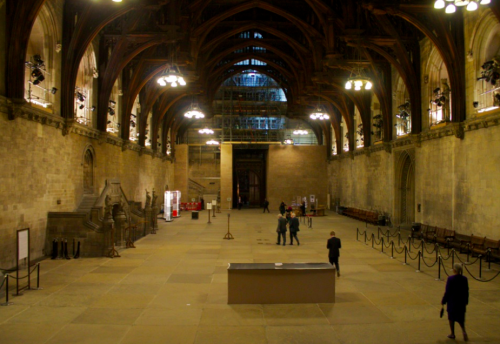 We then climbed a maze of stairs to the House of Commons viewing gallery, and listened to a committee debate (more details in my specific post on this subject). In future trips, I want to try and see the House of Lords and attend when it is in full session. Even in committee, however, I found it fascinating. It’s remarkable how much London has to offer visitors. Not only is there so much to see that there are new places to visit each trip, but the places visited in past trips are so interesting that they warrant a revisit. I’ve found each sequential trip to London more rewarding and can’t wait to visit again (in fact, we both wish we could find a way to live there)!